In a mammoth undertaking, Indian Railways is refurbishing hundreds of stations across the country. The latest names to be added to the development list are Delhi's Anand Vihar and Hazrat Nizamuddin stations which now boast world-class facilities and have become 'green' stations. As per a report in Dainik Bhaskar, the two stations have now been identified as 'green' stations. Green plants and shrubs have been planted outside the station, the report added. These stations will soon brag various facilities including air-conditioned lounge, steel benches, deluxe toilets, clean drinking water etc. Reportedly, the arrival and departure areas have been cleaned for the convenient occupancy of passengers. While the Indian Green Building Council (IGBC) has identified Anand Vihar and Hazrat Nizamuddin stations as 'green' railway stations, the council is yet to give the 'green' certificate. These stations are already equipped with facilities like Wi-Fi, LED lights, solar panels for power generation, among others. Anand Vihar and Hazrat Nizamuddin are soon to receive the certificate. In the budget announced in February 2019, it was announced that both the stations would be developed into 'world-class' stations. As per reports, the vacant areas of these stations will also be developed. The Northern Railway Zone has given this task of development to the Indian Railway Station Development Corporation (IRSDC). 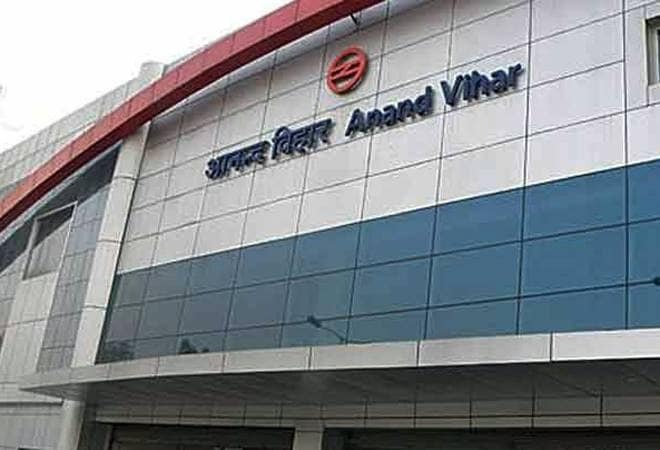 The Anand Vihar railway station operates an average of around 104 trains per day with a footfall of around 1 lakh passengers, the report added. The IGBC offers a wide array of services which include developing new green building rating programmes, certification services, green building training programmes, among others.